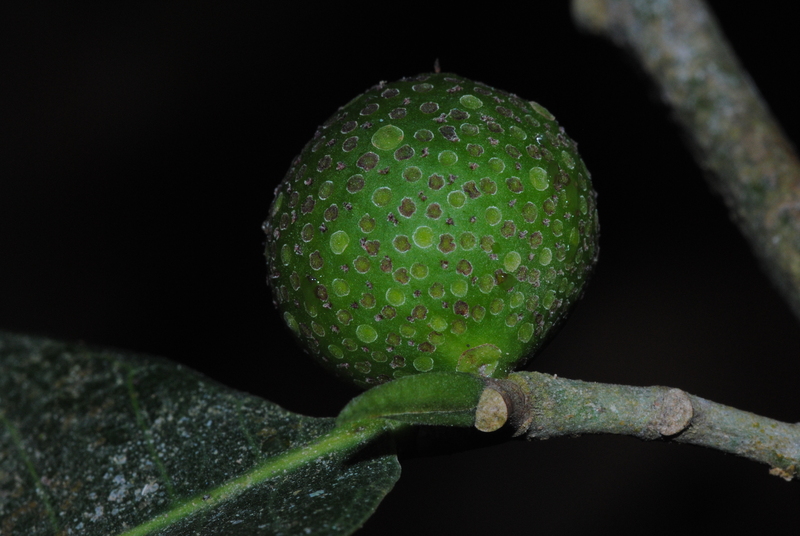 On the 24th and 25th of April Erika Vohman (CEO of the Maya Nut Institute) and Mike Rowley a grad student at the University of Bournemouth gave two great talks at the Royal Botanic Gardens Kew and its subsidiary, the Millennium Seed Bank at Wakehurst in Sussex. 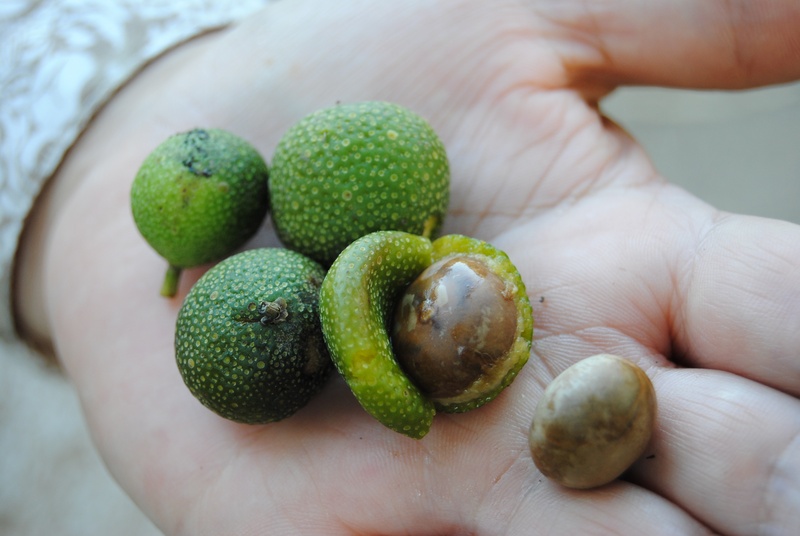 Erika spoke about our Darwin Initiative project with the tropical tree Brosimum alicastrum or Maya Nut which finished last month within the context of focusing sustainable development projects in Central America on women and markets. 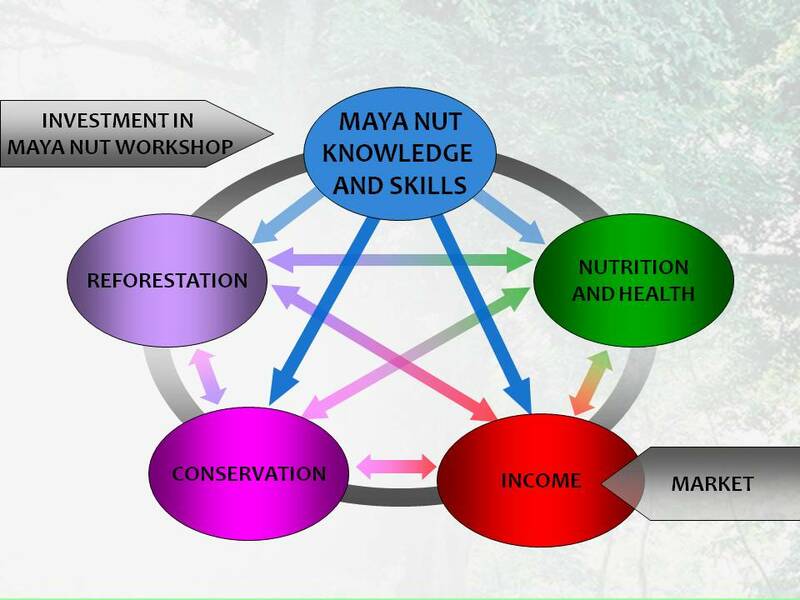 The slide above shows the role of Maya Nut (Brosimum alicastrum) and livelihoods in the sustainable use and conservation of forests in Central America. 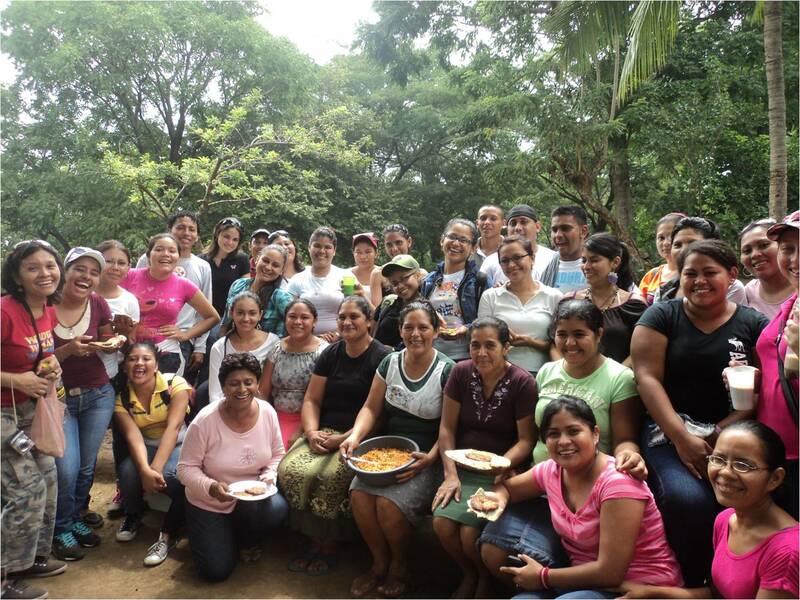 Our project invested in workshops and the generation of knowledge to support its sustainable use. 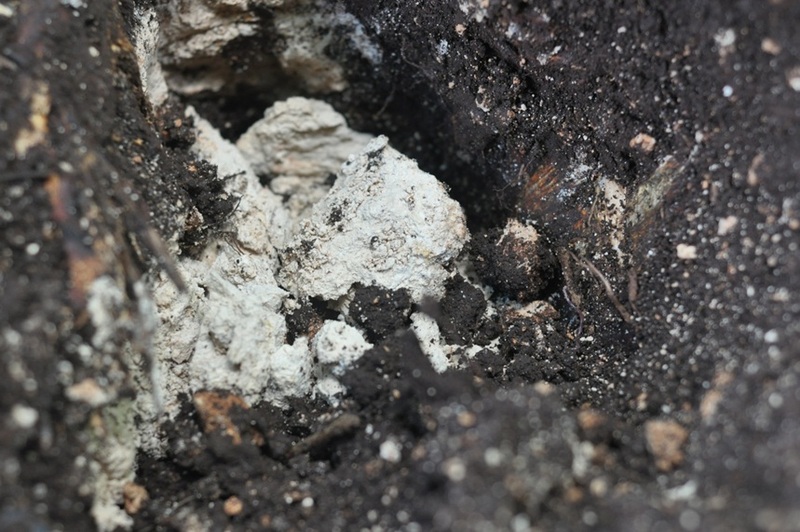 Calcium carbonate (limestone) deposits believed to originate from Brosimum alicastrum (Maya Nut) root-microbe interactions. If confirmed this would be the first tree that has been shown to do so. 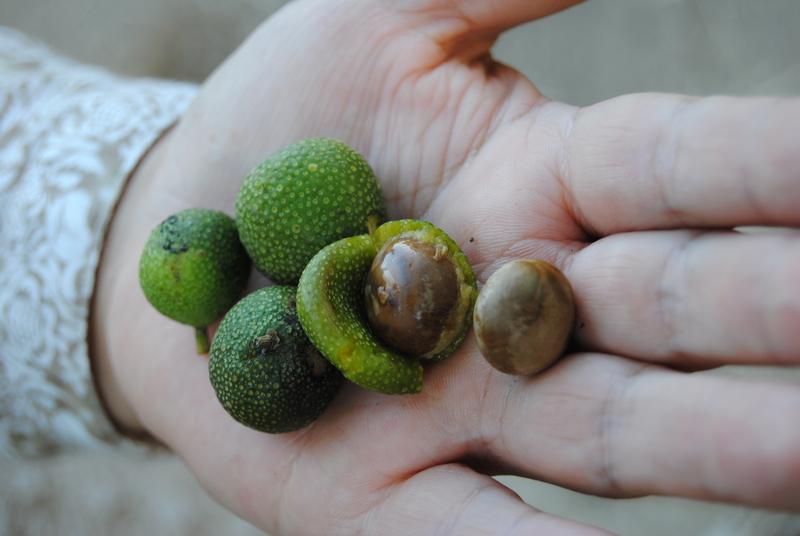 On April 25 2014, at 11 am in the Millennium Seed Bank Seminar Room Wakehurst Place, Erika Vohman of the Maya Nut Institute will give a seminar entitled ‘Livelihood and conservation value of Maya Nut (Brosimum alicastrum) in Central America’, Erika Vohman. Erika has been working with Brosimum alicastrum for over a decade and is founder of the US NGO, the May Nut Institute whose mission is to find a balance between people, food and forests by teaching rural communities about the value of Maya Nut for food, fodder, ecosystem services and income. 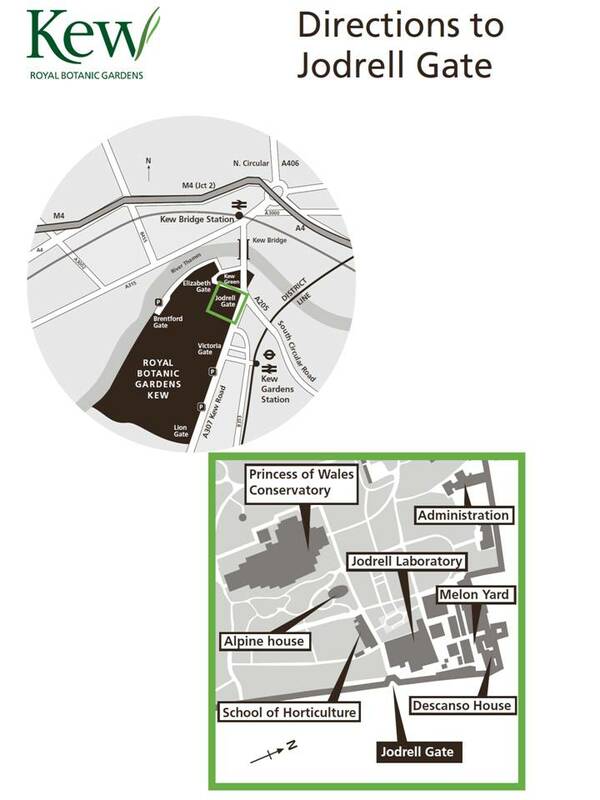 Directions to the Seed Bank can be found by clicking on this link. Brosimum alicastrum is one of the most widespread and common species in evergreen and semi-evergreen tropical forests in Mexico and northern Central America. 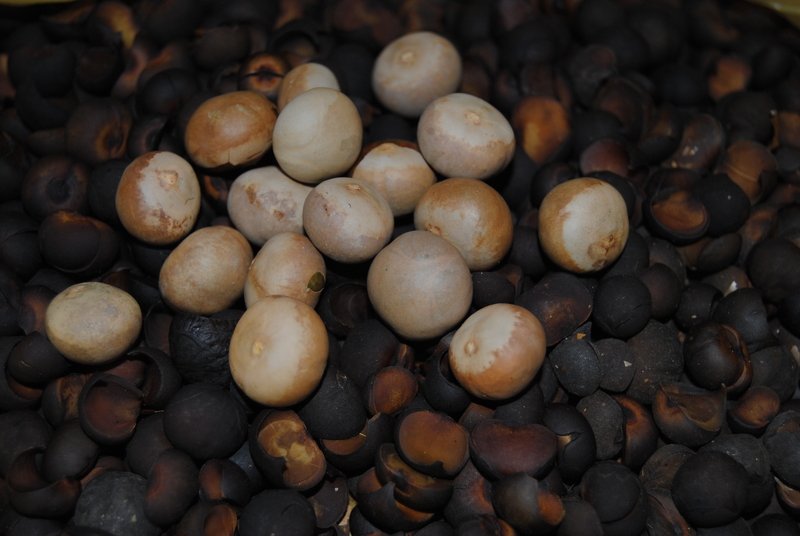 It is recognized as a famine food, fodder crop, timber and fuelwood. 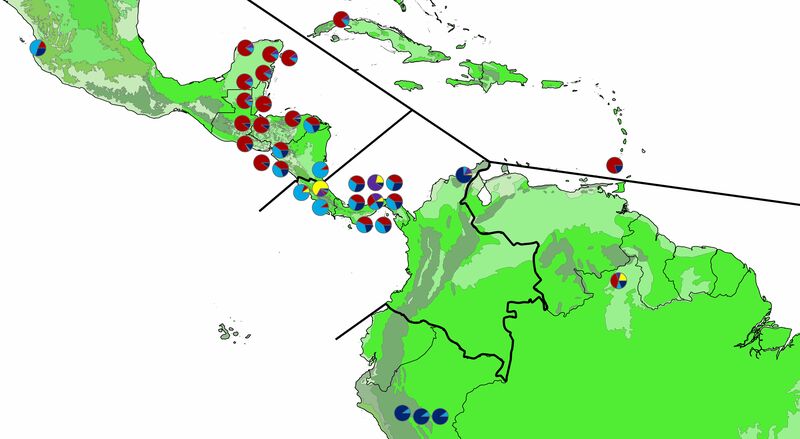 Also as a key species for reforestation in Central America. Examples of ongoing reforestation include the ‘Healthy Kids, Healthy Forests’ program in Guatemala and Nicaragua (150,000 trees respectively), the ‘Programa Reverdecer’ (Re-greening) in Guatemala (50,000 trees) and the Ecological Ranching Program in Guatemala (300,000 trees) and Restoration of Lake Peten-Itza Watershed (600 ha of trees planted). 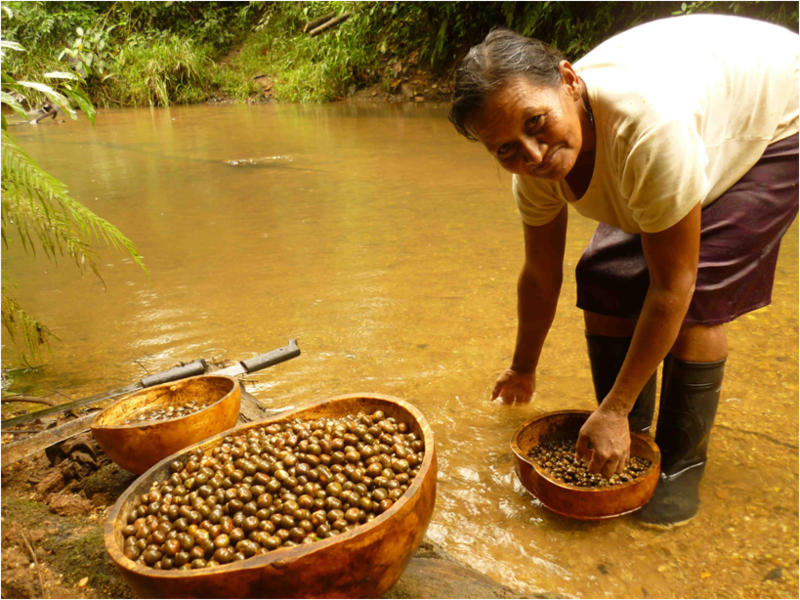 In Honduras Maya Nut harvest can generate $650 per ha per annum compared to $326 for a combined maize and beans production system. 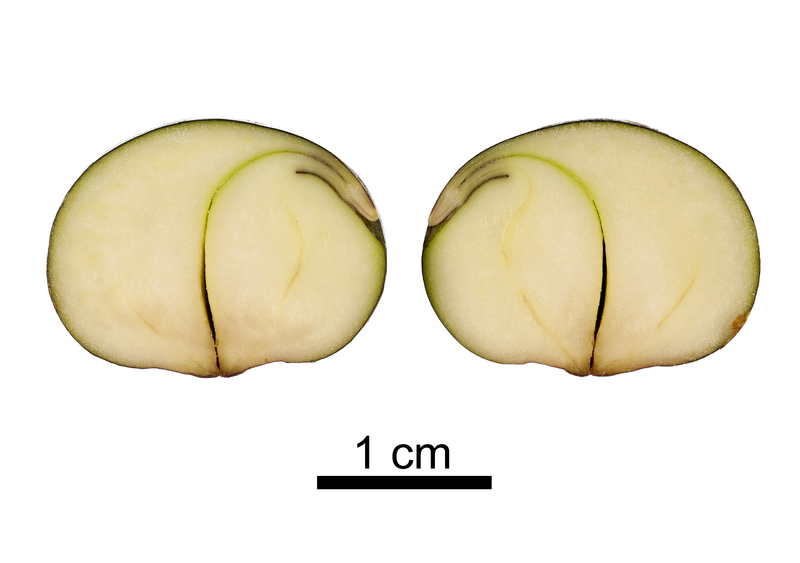 Erika has been working with Alex Monro (The Natural History Museum / RBG Kew) on a Darwin Initiative funded project ‘Tools for the sustainable harvesting of Maya Nut (Mesoamerica) 18-010’ which finished in March 2014. Erika will talk about her work and in particular her strategy for market-driven community based conservation, improving women’s participation in conservation and Maya Nut restoration and reforestation in the Neotropics. Erika’s talk should last for 30-45 minutes.